Field Whiz is a simple to use web/smart-phone based field management system for landscapers and snow/ice professionals. 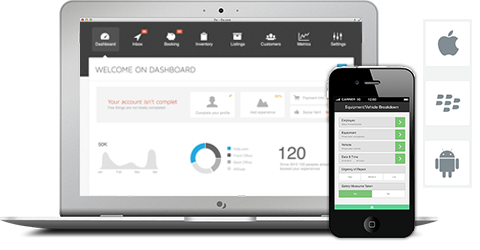 From setting up contracts to scheduling jobs, GPS tracking, picture and audio records of completed/skipped jobs, equipment maintenance records, tracking time and material, managing employee hours and sending out invoices is all done using an intuitive and easy to use interface that mimics the way many landscapers manage their business. AVL Genius is our patent pending winter road condition monitoring system.Developed in collaboration with the University of Waterloo, the AVL Genius works like a traditional ALV and tracks the location and status of your vehicle. The Genius lies in its ability to analyze the road condition for coverage and contaminants using an onboard camera and dedicated hardware. The information is streamed to you in real-time so that you can make more educated maintenance decisions and inform commuters of real-time road conditions. GradeX is a decision-support tool that can be used by railway safety engineers and decision-makers in Canada to identify and target grade crossing hotspots, evaluate countermeasures, and prioritize safety improvement projects. This paper provides an overview of this tool, including: a) its relation to various decision support needs arising in grade crossing safety work; b) its system framework and components; c) its methodologies for identifying hotspots and evaluating the effectiveness of countermeasures. 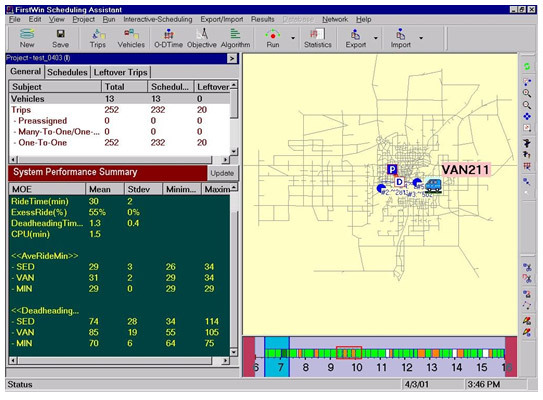 FirstWin (Functional Intelligent Routing and Scheduling Tool for Windows) is a software system developed by Dr. L. Fu specifically for dial-a-ride paratransit systems. As a decision-support tool, it can be used to help paratransit schedulers develop efficient and reliable daily schedules for their service fleet. Based on a set of advanced models and innovative algorithms, FirstWin provides the combined ability of being able to model complex application conditions and to solve large-scale scheduling problems. Models System Objectives Comprehensively FirstWin models the service provider’s operations objectives as well as customer satisfaction on the service in the same framework. 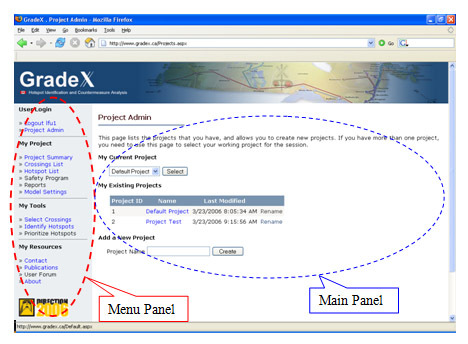 You can customize system parameters to attain specific service objectives. Origin-destination (O-D) travel time is one of the critical pieces of information required in the routing and scheduling process. It is inarguably one of the main factors influencing the quality and reliability of solutions to scheduling problems. FirstWin is unique in modeling the O-D travel time in two aspects. First, it offers multiple choices of the O-D travel time estimation methods ranging from simple zone-based O-D travel time database, to the more complicated Artificial Neural Network (ANN) based method. Each estimation method features different estimation quality and computational efficiency. You can select the method that is appropriate for your specific requirements. Second, FirstWin can explicitly consider the dynamic and stochastic nature of the O-D travel time, considered to be the most realistic model in an urban traffic environment. The resulting schedules are therefore more reliable and productive. FirstWin provides a variety of automated scheduling options that facilitate the routing and scheduling process for diverse application situations. In addition to many-to-many trips, FirstWin can also schedule group trips, many-to-one and one-to-many trips, as well as trips that are pre-assigned to specific vehicles. 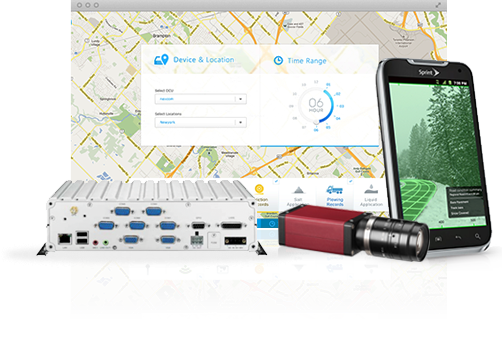 FirstWin incorporates straightforward problem-solving logic with the standard user interface. The ease in importing and/or exporting data using an existing ODBC database engine means less effort is required for data preparation and output processing. This translates to savings in operational cost and/or increase in productivity. Figure 1 schematically illustrates the operation diagram of the FirstWin system. To use FirstWin, the first step is to prepare the necessary data that are used as input to FirstWin. The data needed by FirstWin falls into two categories. The first category includes parameters that can be entered and modified inside the program. The other category of data is prepared externally as database tables using a database management system (DBMS) such as Oracle and Microsoft Access. After starting FirstWin, as the second step, you first imports the data from the external database through an ODBC connection and sets the other data required by the routing and scheduling process in the program. After all the required data are ready, the optimisation routines can be invoked to begin assigning customer trips to each vehicle. FirstWin will create various outputs including screen and text file outputs of schedule summaries and schedules. You can view and print these output inside or outside FirstWin. In addition, FirstWin also allows you to export schedules to a database that can be used later by FirstWin or other programs (e.g. to generate vehicle run sheets). Dial-a-ride paratransit, also called demand responsive transit, has been playing a vital role in North America in providing equitable transportation service to a special group of population such as the elderly and handicapped who have difficulties to access regular public transit system. Different from regular fixed-route transit, paratransit commonly uses small to medium sized vehicles to provide shared-ride, door-to-door service with flexible routes and schedules. Due to its taxi-like service approach with a fare scheme comparable to regular transit, most paratransit systems in North America rely heavily on subsidisation. According to the Canadian Urban Transit Association, the total operating expenses of 50 Canadian paratransit agencies in 1997 amounted to 146.5 million dollars, of which only 10% was recovered from fare revenues and the rest 90% was subsidised. In the United States, the total operating expenses of paratransit service exceeded 1.2 billion dollars with only 173million dollars collected in fares, as reported by the American Public Transit Association. Such strikingly unfavourable cost efficiency has been mainly attributed to low vehicle productivity of paratransit service. For example, in 1997, the Canadian paratransit agencies completed an average of 2.35 trips per vehicle hour while the paratransit agencies in the Unite States had an average vehicle productivity of 2.38 trips per vehicle hour. To seek for solutions, many paratransit agencies are turning to the applications of advanced information technologies such as automatic vehicle location and computer aided dispatch systems (AVL/CAD), digital telecommunication and computers. Intelligent paratransit is the result of integrating these information technologies in the operation and management of paratransit service systems. With the ability to track vehicle locations, communicate with drivers and clients, and access traffic information on a continuous basis, intelligent paratransit systems are expected to operate at a significantly improved level of productivity and reliability. However, many issues need to be addressed before such technologically enhanced service systems will be widely endorsed by public transit agencies. How much increase in productivity can be expected from application of AVL/CAD? How effectively will these technologies be able to improve the quality of paratransit service? What dispatching strategies and policies can take advantage of real-time information? This section presents a simulation model that can be used as a virtual test bed to address some of these questions. We first present an overview of technological components of an intelligent paratransit system – the physical counterpart of the proposed simulation model. The principle components and structure of the simulation system are then introduced. Finally, potential applications of the simulation model are highlighted.